The olive tree is integral in the history of Umbria and has been one of the main sources of sustenance for the population. 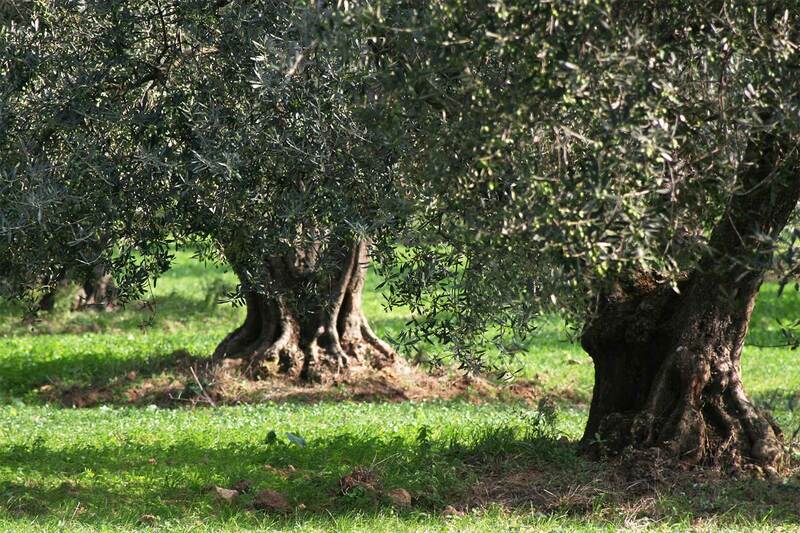 Its cultivation has created many jobs such as tending the groves, harvesting and olive pressing. Our olive grove, certified Umbria DOP (Denominazione di Origine Protetta or “Protected Designation of Origin”), covers a hilly, well drained area of three hectares. It is in an ideal habitat with an inland Mediterranean climate which enables full ripening of the olives on the century-old trees. The varieties we grow are San Felice, Moraiolo, Leccino, and Frantoio. They are all blended to create a single oil typical of Umbrian extra virgin olive oil from the "Colli Martani“ area. The end result is an extra virgin olive oil of exceptional quality.